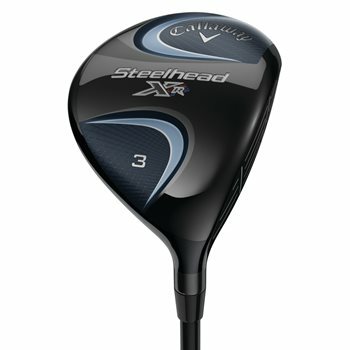 The Callaway Steelhead XR fairway wood features an improved Steelhead shape and modern Hawkeye Sole for a versatile, confidence-building head that’s super-easy to launch. The Speed Step Technology improves the head’s aerodynamics for fast swing speed while the next-generation Hyper Speed Face Cup delivers fast ball speed and distance across the entire face, especially on mis-hits. The lightweight J-36 carbon crown saves substantial weight that’s re-positioned in the perimeter for more forgiveness, easier launch, lower spin and added power.